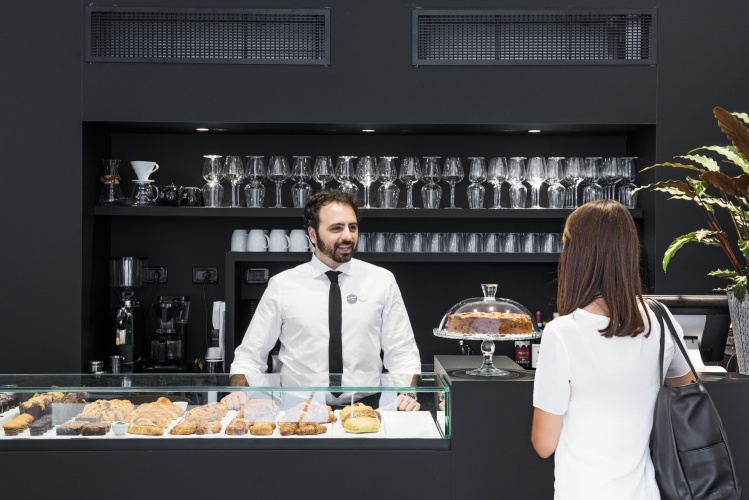 Interbrand has worked with the brand’s creative team to design the interiors of the new cafe, which will be a space for dining, reading, exhibiting art and selling products. 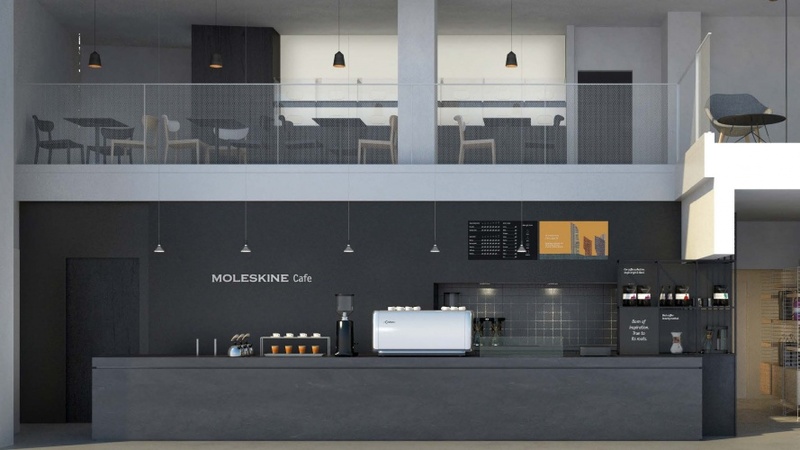 Update 24 January 2018: Moleskine has confirmed it will roll out its café concept globally, to Beijing, Hamburg, London and New York. The Beijing branch has now opened, and is based in Taikoo Li, a shopping centre in the Sanlitun area. The other three locations are yet to be revealed. 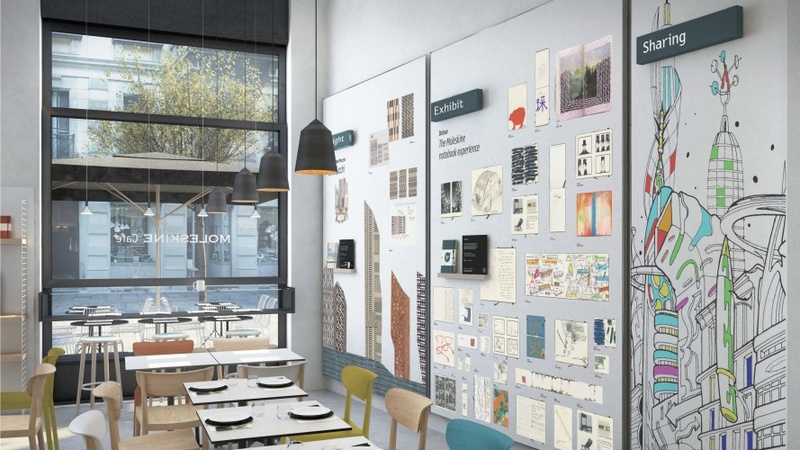 Designer stationery brand Moleskine has opened its first ever café, which looks to create an environment that encourages creativity. 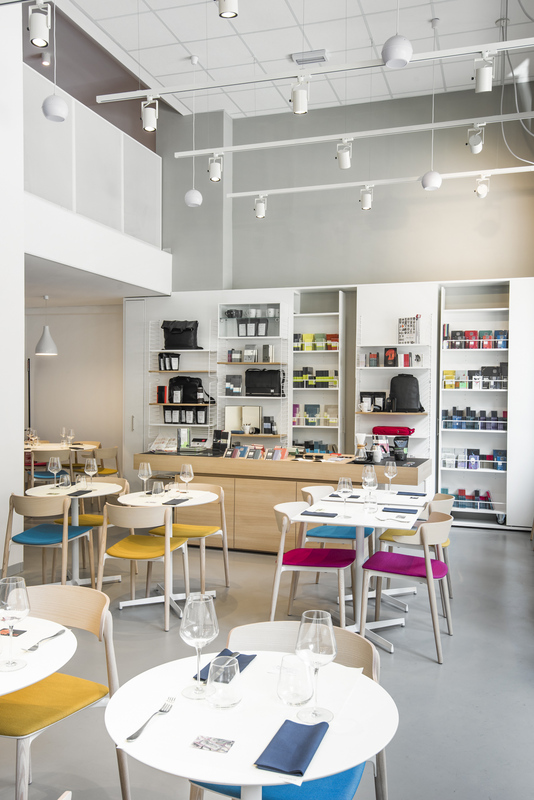 The Moleskine Café is in Milan, Italy and is based on the concept of the Parisian “café littéraire” (literary café). 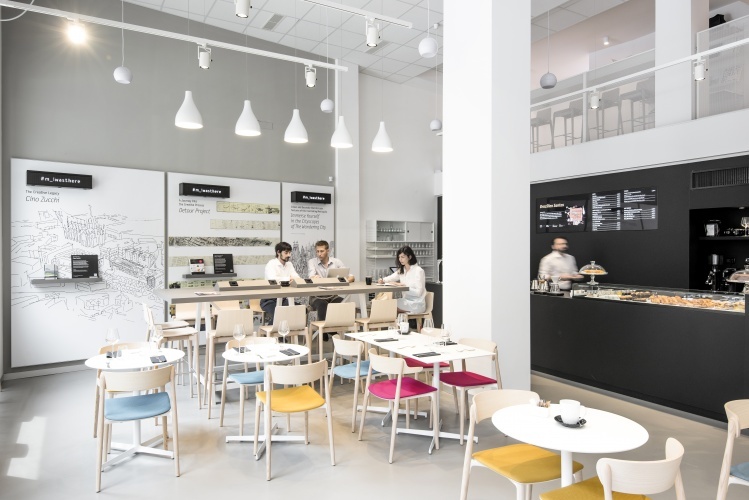 The brand’s new retail format aims to acts as a café, art gallery, store and library hybrid, with spaces dedicated to studying, eating and drinking, exhibiting and displaying products. 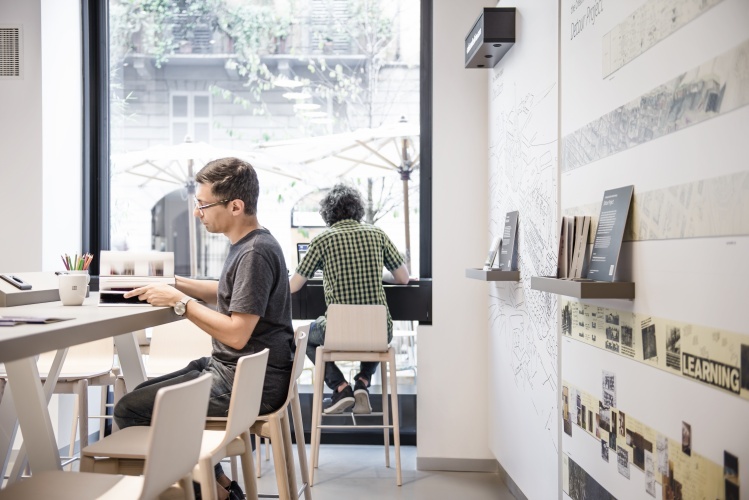 The interiors have been designed by global consultancy Interbrand’s Italy office alongside Moleskine’s own creative team. They have been based on the style of the classic Moleskine notebook – “clean aesthetics” with a “contemporary palette of neutral colours”, says the studio, to replicate the ivory colour of the notebook’s pages. The space is split across a ground floor and a mezzanine level. The ground floor aims to be a space for conversation, while the mezzanine is a quieter, more reflective space, says Interbrand. At the centre of the ground floor is a food and coffee counter, surrounded by various displays and seating areas. This layout is “intuitive” for the customer, says Manfredi Ricca, chief strategy officer at Interbrand EMEA (Europe, Middle East and Africa) and LATAM (Latin America), with “non-obtrusive” product displays resigned to the sides and the coffee and food offering as the “central element of attraction”. 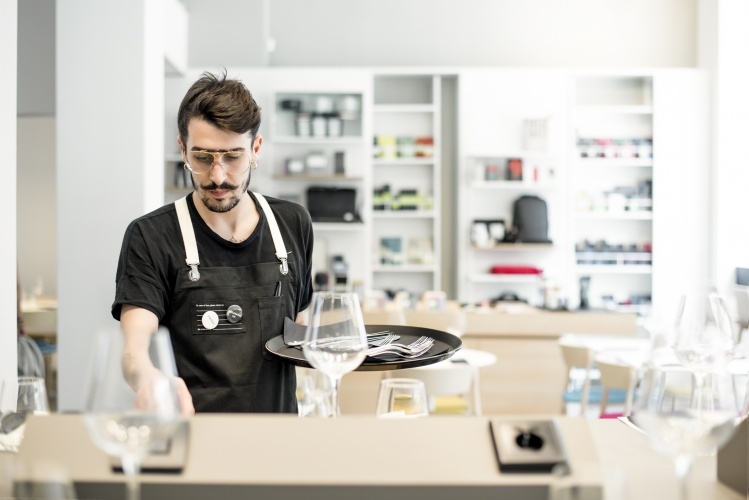 The right of the store sees a product display alongside an “experience table”, which allows customers to feel different paper grades, look at page layouts and try out Moleskine+ smart notebooks, pens, pencils and bags. 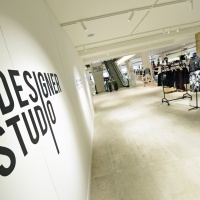 The left side of the store sees a space dedicated to exhibitions and events, focusing mainly on the early stages of creative processes, such as sketches, notes and doodles from architects, designers, illustrators and film directors. Exhibitions on illustrator John Alcorn and architect Kengo Kuma are due to take place this year. There are also shared tables and seating areas on the ground floor, which aim to encourage people to chat and share ideas. The mezzanine level sees more private, separate seating, alongside a sofa space intended as a quiet area for reading, working and relaxing. 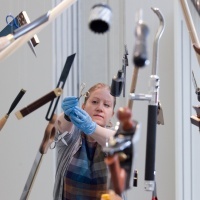 This floor aims to be a more “reflective and intimate experience”, says Ricca. Ricca says the concept café will be a space where people can think and create. “Think about the product that made Moleskine known to the world in the first place – the notebook,” he says. “Its ultimate aim is to provide a blank bi-dimensional space which encourages people’s ideas and identity to find an expression. “So a café from the same brand should provide the same, but in the third dimension,” he says. 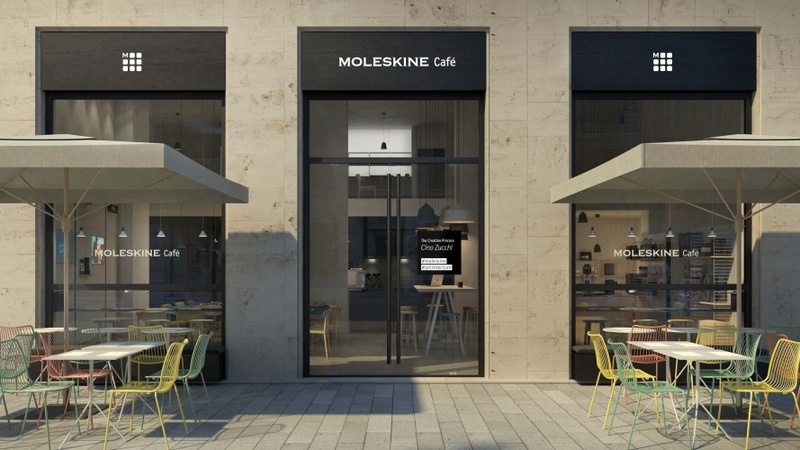 The Moleskine Café concept has taken roughly a year and a half to create, and will be rolled out as a wider concept in other major cities around the world. Moleskine has not yet revealed where these will be.